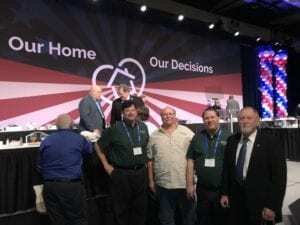 Your City Secretary and several members of City Council recently attended the 2018 Texas Municipal League (TML) convention in Fort Worth. TML is a very good source of training, information and education for municipal leaders and an invaluable resource for our city. Attending this year were Mayor Charles Jessup, Aldermen Rick Staigle, Terry Henley, John Isbell and City Secretary Courtney Rutherford. Here is a bit about TML and why it is so valuable to Meadows Place. The size of the cities in TML range from under 5,000 (68.9%) to those over 100,000 including the big ones like Houston, Fort Worth and San Antonio but TML makes sure the little cities like Meadows Place have equal opportunities to be heard and to participate. TML began in the summer of 1913, Austin Mayor A.P. Wooldridge issued a call to the cities of Texas to come to Austin to consider the creation of an association to allow officials to confer on municipal issues. 13 cities from across Texas responded and the gathering was a huge success. Word spread and the idea of a municipal league caught on. During the next 35 years, the League grew rapidly. After World War II, Texas evolved into an urban state and the needs of Texas cities grew. TML became a focal point for common questions and concerns which quickly led to TML becoming the central distribution point for municipal programs and information. TML produces key publications, such as the Texas Town & City magazine, the Handbook for Mayors and Councilmembers, How Cities Work, Texas City Officials Directory, and A Guide to Becoming a City Official, all of which are very helpful to our elected officials. 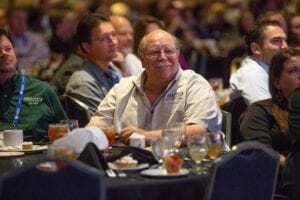 Bottom line – Your city officials and staff attend TML conventions to better serve you.